"Portable version of the Wise Video Downloader"
Elsewhere on Winportal we presented the freeware product called Wise Video Downloader, a simple and easy solution to download videos from YouTube. Now, what we are offering here is a special version of this application, called Wise Video Downloader Portable, specifically designed to be executed from removable media. As you probably know, YouTube doesn’t readily provide download functionality. This means you need to recur to dedicated applications such as Wise Video Downloader Portable to be able to download and save your favourite videos so you can enjoy them later on without the need to go to YouTube again. 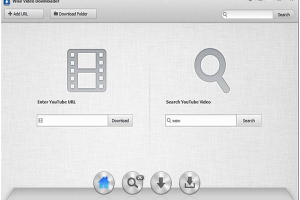 This YouTube video downloader features selecting your preferred video quality, eliminates the need for a web browser to search for video source material, lets you paste in a YouTube video URL and will quickly download your desired items.